While US government is always prohibiting the purchase of Huawei products due to suspected backdoors from the Chinese government, China also keep itself totally apart from the US productions. 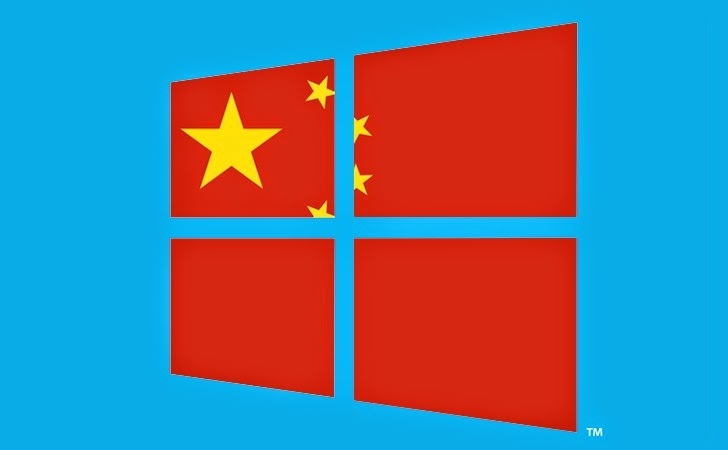 China is a bit famous for using its own operating systems, smartphone application services and lots more, rather than using the US developed Operating Systems, and now China has reportedly banned the installation of Microsoft Corporation’s latest operating system, Windows 8 on any of its government computers. 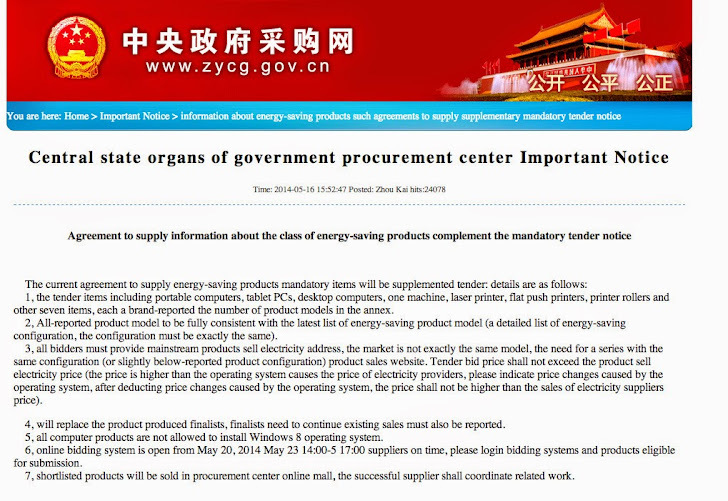 The Central Government Procurement Center issued a notice that was posted on its website last week prohibiting the use of Microsoft's latest operating system and the reason behind it is to support the use of energy-saving products, the report said. But the state news agency ‘Xinhua’ pointed out a different reason for the ban saying the country wants to avoid any further losing of the support for an operating system like it did recently by pulling out its support from the oldest operating system Windows XP, which was widely used in China and is still estimated to be used on as much as half of the Chinese desktop market, the Chinese news agency claimed. In the beginning of last month, Microsoft stopped providing the support for its longest running and most successful 13 year old Operating system, Windows XP, despite the fact that it has been used widely across the world than any other OS. According to China's Central Government Procurement Center, all the desktops, laptops, and tablets used by central state agencies must run on an OS other than Windows 8. "All computer products are not allowed to install [the] Windows 8 operating system," reads the post on the center's website. The ban applies only to the government offices, however the market of personal computers remains unaffected. Till now, Microsoft didn’t respond to comment on the issue.